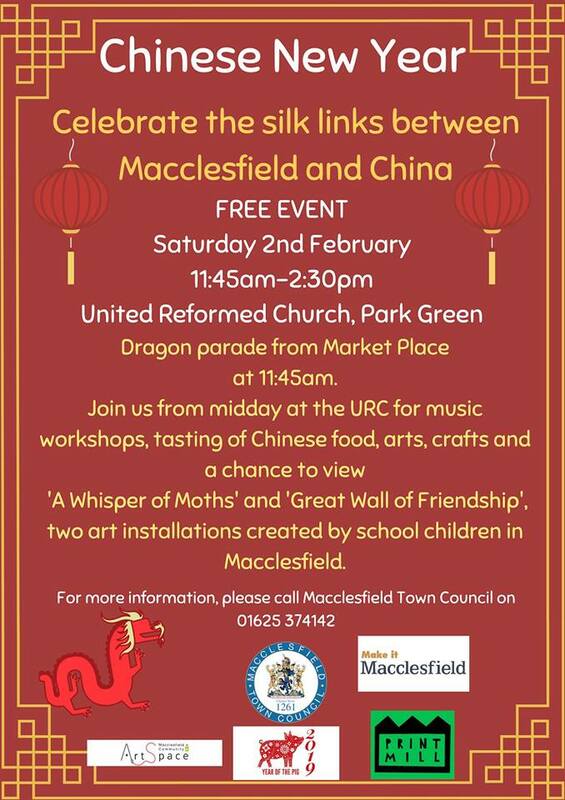 ArtSpacers are making several contributions to the Town Council’s Chinese New Year event this Saturday February 2nd. Janet and her team have made a Giant Pig (for the Chinese year of the pig) and a Dragon for the Parade. 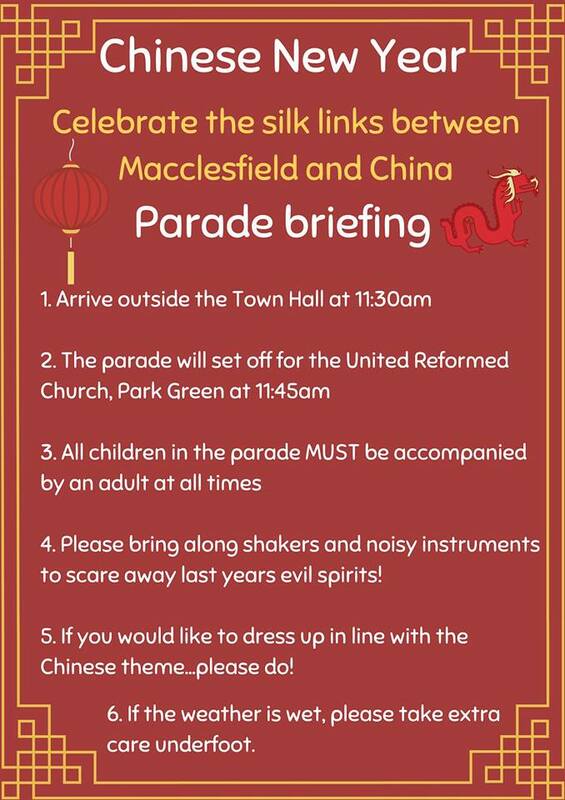 They will leave the Market Place at 11:45 and parade down to the United Reformed Church. Meanwhile two of our Print Mill artists Jacki and Becca, have worked with local schools on two art installations “A Whisper of Moths” and “Great Wall of Friendship” The installations will be on view in the URC after the parade, where from 12 noon there will also be free stuff going on, music workshops, tasting of Chinese food, and arts and crafts. Please come and look at all the lovely stuff. Everyone is most welcome to join in the parade. please bring along shakers and noisy instruments to scare away last year’s evil spirits! If you would like to dress up in line with the Chinese theme, please do. If the weather is wet etc. please take extra care underfoot.